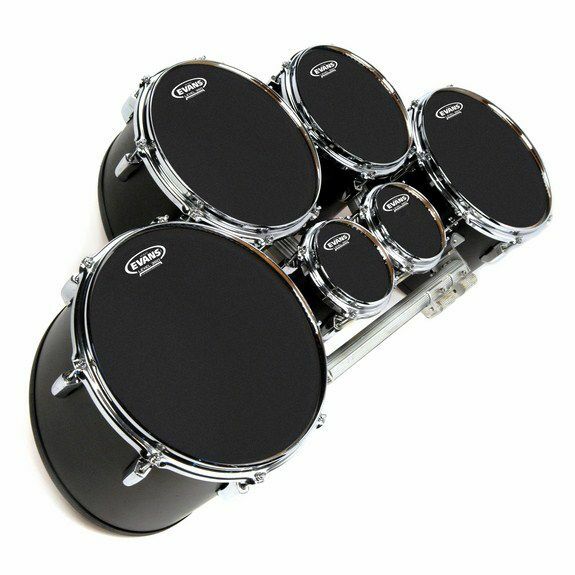 The Evans MX Black Tenor Drum Heads are designed with an advanced hoop concept that prevents pull-out, and are made using two 7mil plies of black film that provide a dark contemporary look with a bright attack and an open tone that projects very well in most situations. They show where you hit them but then again any head will. They are two ply so they are durable. They have an amazing sound. I have heard heads that were a lot more expensive and these are my favorite by far. The sound can vary a lot also it can go pretty high in pitch and pretty low. My favorites yet.